You see, I was with a friend just the other day and he was bitterly complaining that he was so broke. I looked closely at him. I wasn’t actually surprised because this was not the first time he will be saying such a thing to me. But this time around, I really looked closely at him because it was so obvious he was really worried. On I prodded him further, he confessed to me that although he earns quite a reasonable sum, that he just can’t tell how all that money seems to disappear. Have You Weighed Your Money Today? If so, then you really need to take a moment to take note of how much money you are spending on daily basis. You need have an idea of how much money you spend in a day. It wasn't even difficult for me to find out that was my friend's problem. He had no idea. He told me he never bothered with such a thing. Doing such a thing, I believe, will surely help you to inculcate some good personal financial management. This was exactly what was lacking with my friend... and possibly with so many people out there who might find themselves in the same problem as a result of having ZERO financial management skills. Spending less in a day will benefit you in no small ways. First and foremost, it will help you to save money. And like a warning bell, it will also help you to differentiate between what you really need and what you really want, most especially if you have a problem with impulsive buying. 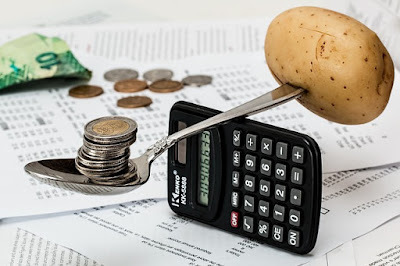 Mind you, I’m not suggesting that you become thrifty or even miserly when you start taking into account how much you spend in a day just to see if you can actually spend less. But then again, it’s no rocket science that spending less in a day will surely improve your finances. That way, you can always bring back that sparkling smile in your life knowing that your finances are safe and secure.